Treatment dictated by cause of pain. HPI - Condition started back in 2005 with lower back pain which was treated conservatively and slightly improved. 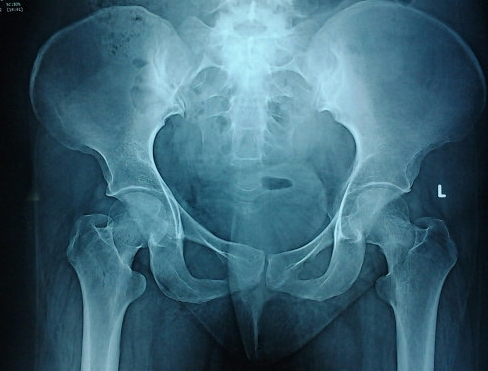 In 2009 the patient had progressive left hip pain. In 2012 pt was diagnosed to have stress fracture of left femoral neck and had percutaneous fixation of the neck. The patient had slight improvment of symptoms for a short period of time. Now the patient continues ot have bilateral hip pain and low back pain. 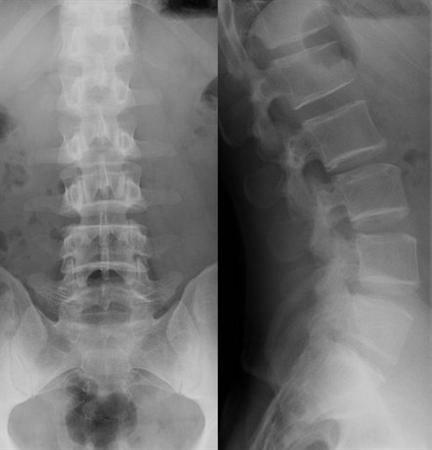 Current radiographs show an incomplete fracture of the right femoral neck and L5 pars defect. Lab studies have been normal. What do you think is the most likely cause of the patients current symptoms?